You can also use Google hangouts to connect with customers. This could be for purposes of answering their questions or simple taste-off. The hangout can allow you to accommodate as many as 15 customers at a time. You can also stream it to YouTube. You can post on various Google platforms, but how effective this is to your campaign is what matters most. Analyze your efforts with numbers to ensure you don’t miss out on opportunities due to errors in your efforts. Reviews are bound to happen as long as you have products to sell or services to offer. So, how you respond to the reviews is what will determine whether the negative information posted will remain so or the clients will change their mind. With Google My Business, you can access reviews easily and promoting them is an easy process. Video content is highly engaging and allows customers to relate with what you are offering. It is a better way to explain processes and how to use certain items, so using this method you are likely to attract more customers. GMB also offers a button that takes you to an AdWord account and will allow you to create quick campaigns that capture keywords without necessarily thinking too much about the process. Many people access websites through their mobile devices, so as a seller you should also update your website to allow every kind of device to navigate seamlessly. 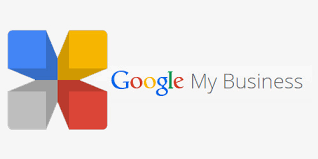 The Google My Business dashboard is mobile friendly and easy to navigate. This entry was posted in Google on August 20, 2016 by Pinnacle.